UCLA researchers take aim at a surprisingly large source of greenhouse gas emissions: concrete. Looking for the source of greenhouse gas emissions? You may be standing on it. Concrete — that material that composes our buildings, our bridges, and a surprising amount of our day-to-day life — accounts for over 5 percent of greenhouse gas emissions in its production. That’s more than 1.5 billion metric tons of carbon a year — a big number. UCLA researchers saw the opportunity to do something about it. It may not sound as flashy as an electric car, but CO2NCRETE could go a long way toward shrinking the carbon footprint of the construction sector. Director of the UCLA Luskin Center for Innovation and professor of public policy J.R. DeShazo, left, with associate professor and Henry Samueli fellow of civil and environmental engineering Gaurav Sant. It took a team with expertise in chemistry, economics, engineering, materials science and public policy to figure out how to capture the CO2 coming out of power plant smokestacks and turn it into something other than air pollution. It’s not that people haven’t tried to capture the CO2 emitted from power plants before — German company Vattenfall piloted a unique carbon capture and storage (CCS) power plant in 2008. 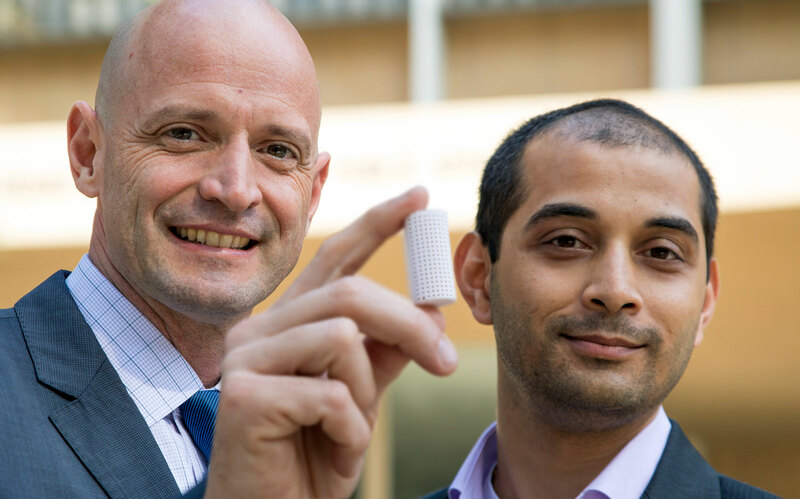 But UCLA researchers had a new approach: don’t just store the CO2, use it to create something even better. CO2NCRETE is an eco-friendly material that works as a concrete substitute. 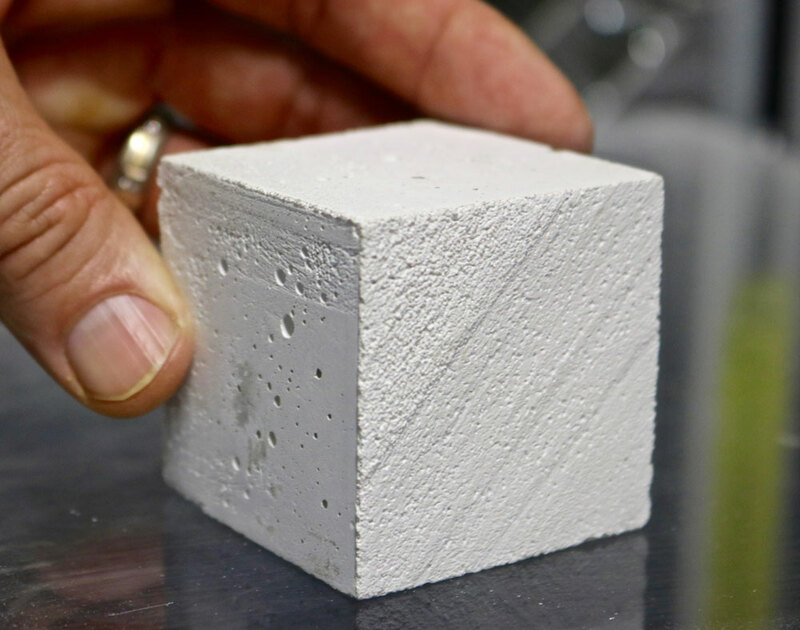 Making it produces 50-75 percent less carbon dioxide than traditional concrete. That’s because it’s made of hydrated lime, which absorbs CO2. Even better, the carbon dioxide CO2NCRETE uses doesn’t need to be processed — it can be captured and converted right at the power plant. That means it can potentially become a very appealing way to deal with an even bigger problem: the amount of greenhouse gases produced by power plants. In the U.S., electricity generation accounts for about 34 percent of energy-related CO2 emissions. That number is just as significant in the developing world, with countries like China and India (soon to be No. 2 on the list of greenhouse gas emitting nations) facing climate crises of their own. By making this form of “upcycling” — taking a waste product and transforming it — widely accessible, the UCLA team has created a strategy as expansive as climate change itself.